Your most memorable Valentine’s Day yet is waiting on the water, when you and your sweetheart join us aboard Spirit for dinner! 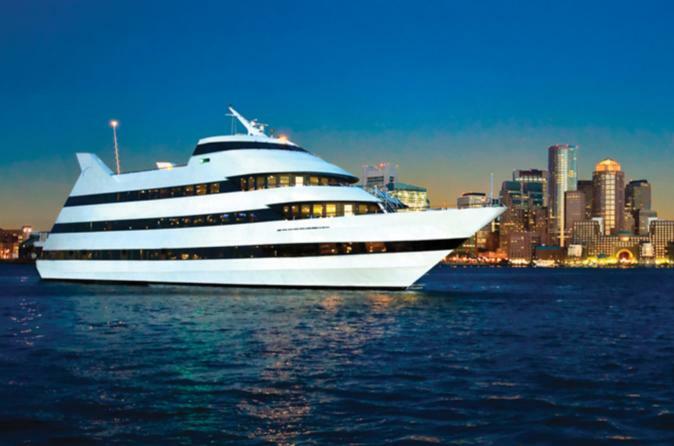 See Boston’s waterfront sights from the deck of a luxury dinner cruise. Enjoy a fabulous fine-dining buffet with a carving station and hit the dance floor while one of Boston’s top DJs spins your favorite songs. Join the sunset party on the ship’s exterior deck – the biggest patio party in Boston! Stunning skyline views, inspired cuisine and an experience unlike any other all make for the perfect celebration of love. This three-hour Boston dinner cruise is a fun and unique way to see some of Boston’s famous attractions, as you start a night out on the town. Purchase a cocktail on board and watch as the sun sinks below the horizon. You’ll see breathtaking nighttime views of Boston sights like the Bunker Hill Monument, USS Constitution (known as "Old Ironsides") and the site of the Boston Tea Party.